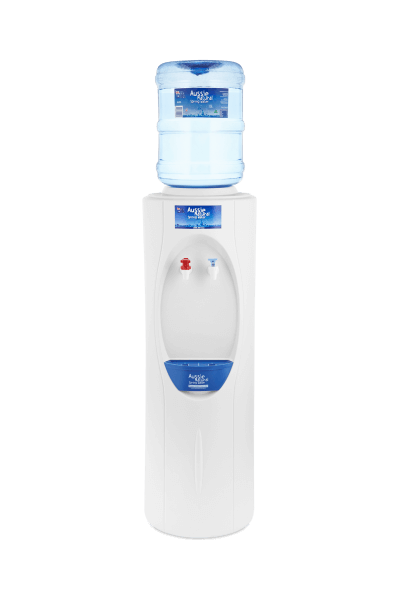 Aussie Natural Spring Water have created the ideal addition to your home or office, with the Hot and Cold Water Cooler. Our fresh spring water, sourced from the Darling Ranges, is now available at your convenience and at the temperature which suits you, when you want it. From one unit, perfectly designed for your home or office, prepare an icy cold beverage to quench and refresh your thirst, or a instant hot cup of tea, coffee, or soup. Create an oasis of fresh spring water in your own home and rehydrate with ease, with the refreshing taste of water filtered through our naturally occurring springs. Aussie Natural customers always know that they can turn to our range of water coolers and dispensers to provide functional and convenient products, alongside our helpful service from our friendly team. Our Western Australian based facilities use state-of-the-art systems to ensure our natural spring water is clean, fresh, and safely prepared for sale and delivery. Experience fresh, crisp water -hot or cold, in an instant. This is perfect for at home; cooking, preparing food, tea, coffee and other hot beverages; or icy-cold drinking water for ultimate hydration, with an affordable price.